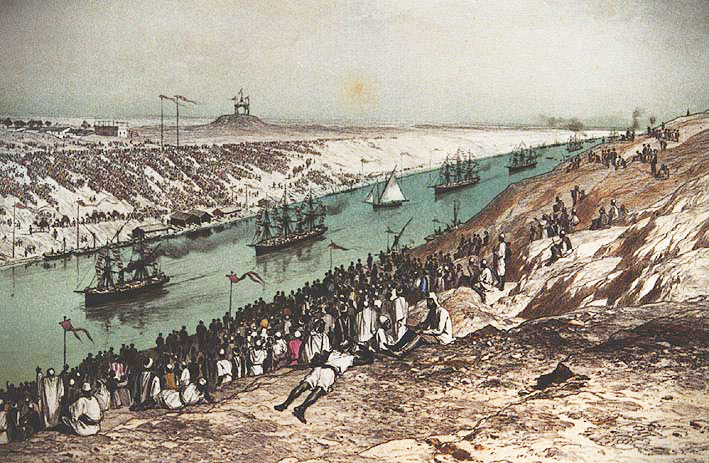 The entire plot basis for A GRAVE CELEBRATION was the opening of the Suez Canal in Egypt. The canal was the brainchild of Ferdinand de Lesseps (1805—1894), a Frenchman with a varied and distinguished diplomatic career before successfully completing a waterway linking the Mediterranean and Red Seas, effectively linking East and West with dramatically reduced sailing distances. The concept of a canal was taken up by Egypt as early as the second millennium B.C. Remnants of an ancient west—east canal were discovered by Napoleon in 1799. The French general contemplated the construction of another canal, running north—south to join the Mediterranean and Red Seas, but his project was abandoned after his engineers mistakenly concluded that the Red Sea was more than thirty feet higher than the Mediterranean. It was de Lesseps, with his friendly relationship with the Egyptian viceroy, who finally pushed through construction of a canal open to ships of all nations. 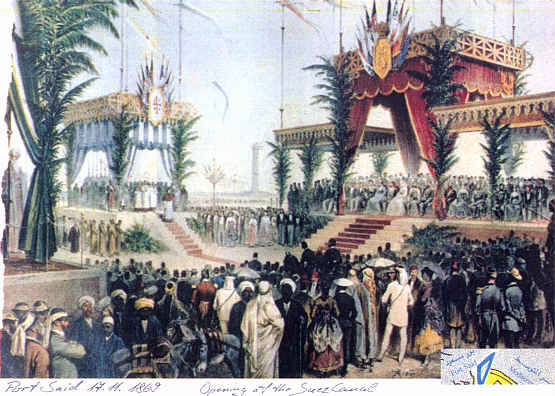 The Suez Canal Company came into existence in December 1858, with work beginning in April 1859. The excavation took ten years, with Egypt providing corvée labor during part of the project. Unlike slavery, the worker under a corvée labor system is not owned outright, and is generally free in many respects except for how he labors. Corvée labor extends back to many societies ancient times, and was used as recently as pre-revolutionary France. In ancient Egypt, specifically, peasants were seized to help in government projects, such as in the building of pyramids and assisting during Nile River floods. Peasants were also sentenced to corvée labor for non-payment of taxes (an interesting twist on debtors’ prison). Great Britain loudly protested the use of corvée labor for the Suez Canal project, as they had officially outlawed slavery in 1834, and thus pressured Egypt to stop using it, nearly ruining the project financially, although I’m sure the workers were happy to be paid! De Lesseps was a powerful and wealthy man, and was nearly like a king in Egypt, cheered everywhere he went. Unfortunately, he overestimated how much traffic would be using the canal by ten-fold, so that within two years of the canal’s completion, he was booed everywhere he went. Today, more than fifty ships per day travel the 120-mile route, amounting to eight percent of the world’s shipping traffic. 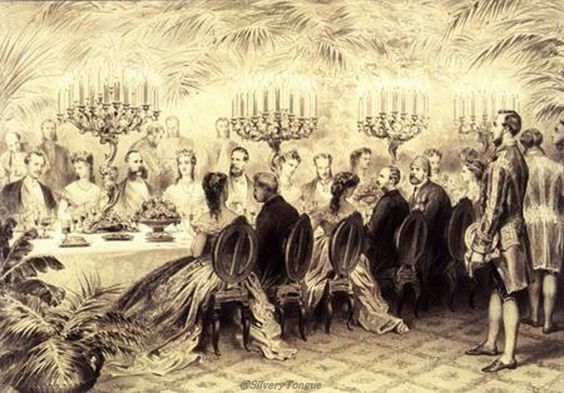 Celebrations for the canal’s opening went on for days, and included fireworks, picnics, fancy balls, boat trips down the Nile, and a “Dinner of the Sovereigns,” a glittering affair for the heads of state who had sailed in on their yachts from all points of Europe. The opening of the canal was not without problems. A fireworks stand blew up on the first night, igniting a nearby lumberyard in Port Said. A short distance down the canal, a small boat ran aground and blocked the canal, almost forcing de Lesseps to dynamite it before it was eventually dislodged. Such historical events provided perfect cover for the murder and mayhem that occur in A GRAVE CELEBRATION.